is the 3ds running in ds or dsi mode? in both cases the memory range that you specified is not a valid range. 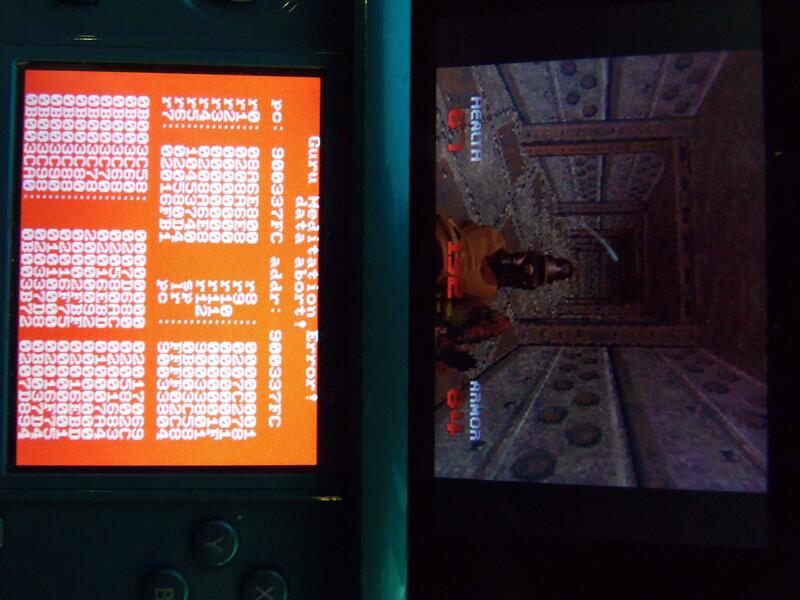 so this points to some corruption - does this happen on more than one 3ds? it could be something to do with the sd card. does the same card work in a ds without error? elhobbs wrote: is the 3ds running in ds or dsi mode? in both cases the memory range that you specified is not a valid range. so this points to some corruption - does this happen on more than one 3ds? it could be something to do with the sd card. does the same card work in a ds without error? No idea, what's the difference between DS or DSI mode? I'll need to contact that guy and ask him about this. So far, he's the only 3DS user that I know of and I need to find someone else with a 3DS to verify this crash. I have a 3ds I can take a look at this latter today. is the svn current? elhobbs wrote: I have a 3ds I can take a look at this latter today. is the svn current? 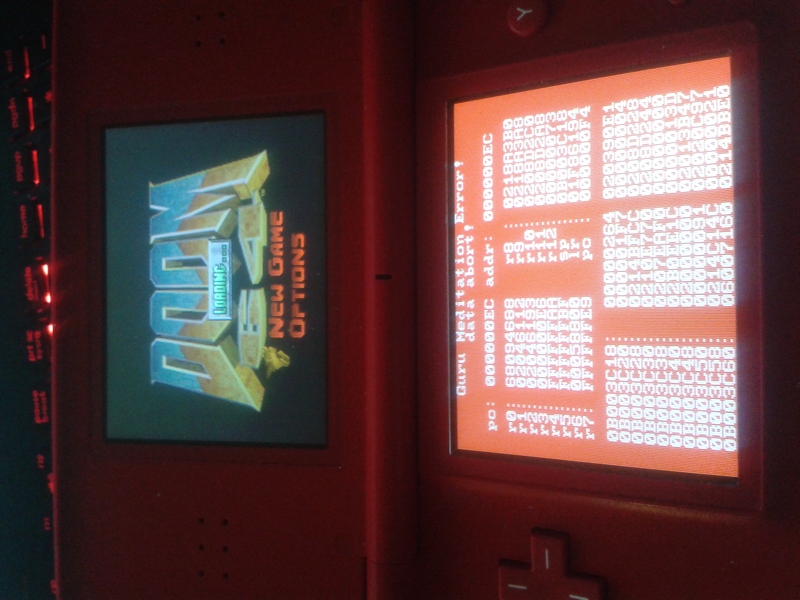 My apologies for the major bump here, but I have a 3DS and I am willing to test out Doom64 DS with it.